Plant growth usually isn’t very good in compacted soils, but there are several ways to aerate and physically improve these soils. Heavily compacted soil will benefit greatly from physical core aeration or "ripping" which is tearing lines in the ground with machines that pull knife-like attachments through the soil at various depths. It's the best way to aerate but not very practical for homeowners. 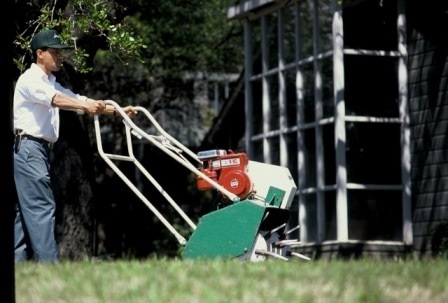 Ripping the soil is actually more beneficial at aerating than poking holes, but it shouldn't be done if trees exist. Tearing the feeder roots would result. The liquid aeration treatment would be to spray or drench hydrogen peroxide. Applying the 3% product from the drug or grocery store is one way to go. It can be applied full strength or mixed with water 50-50. 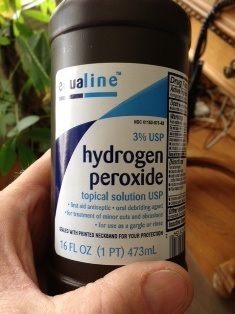 Commercial 35% hydrogen peroxide is also available and can be mixed at about 1 oz per gallon of water, but this concentrated product can burn skin and eyes so must be handled very carefully. The ideal approach would be to do both. The physically aerated soil lets the liquid penetrate more deeply to flocculate and help loosen the soil more effectively. Apply the Garrett Juice mixture or at least compost tea after the hydrogen peroxide application and you will have fertilized the soil as well as aerated it. All this work is usually a one-time need, unless the soil is physically compacted all over again. Here's a lawn aeration video.